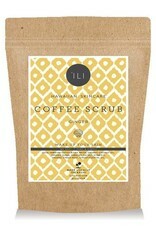 'Ili Ginger Coffee Scrub is a treasure chest of skin-loving goodness. 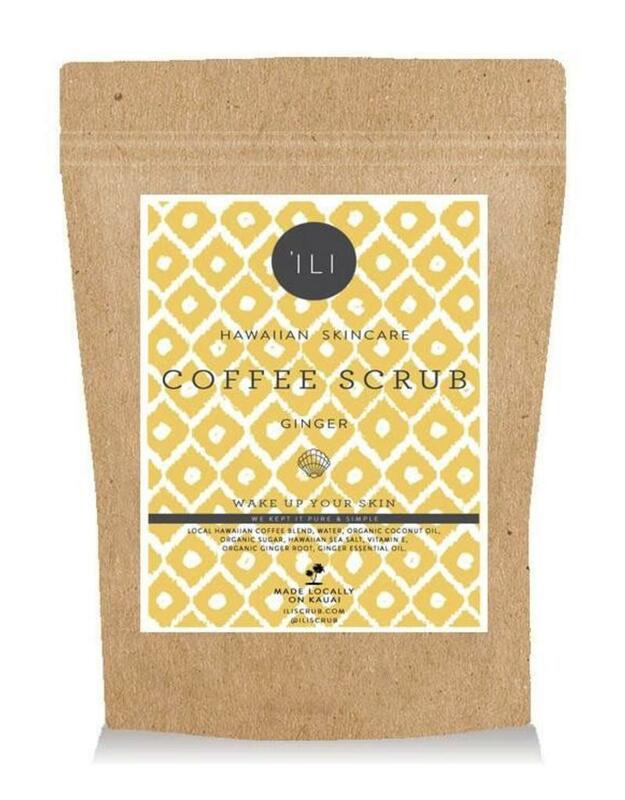 This Hawaiian ginger coffee scrub has over 40 antioxidant compounds which not only tones and brightens your skin, it also removes toxins and stimulates circulation throughout your body. This ginger coffee scrub is a powerful antiseptic. Ginger helps to clean and rid skin of blemishes by clearing acne-causing bacteria. Ginger is known to also reduce hypo-pigmented skin from scars and stretch marks and helps prevent damage from free radicals while improving beautiful skin elasticity. This handcrafted ginger coffee scrub is made with organic local Hawaiian coffee blends, water, organic coconut oil, organic sugar, Hawaiian sea salt, vitamin E, and essential oils.